Last Saturday night we celebrated the 50th birthday of a new friend. We’re connected to each other because he lived next door to one of my close girlfriends. She eventually moved away, but still keeps in touch. Good neighbors are special. I’ve been lucky enough throughout my life to have a large collection of them. We chat over the fence, share meals, discuss local issues, and know the generalities of each others’ lives. I appreciate privacy, but because we share a rather intimate space, rely upon certain combined resources, and breathe the same air, we often depend on one another. As the party blossomed, several of us chatted together about the wine business. 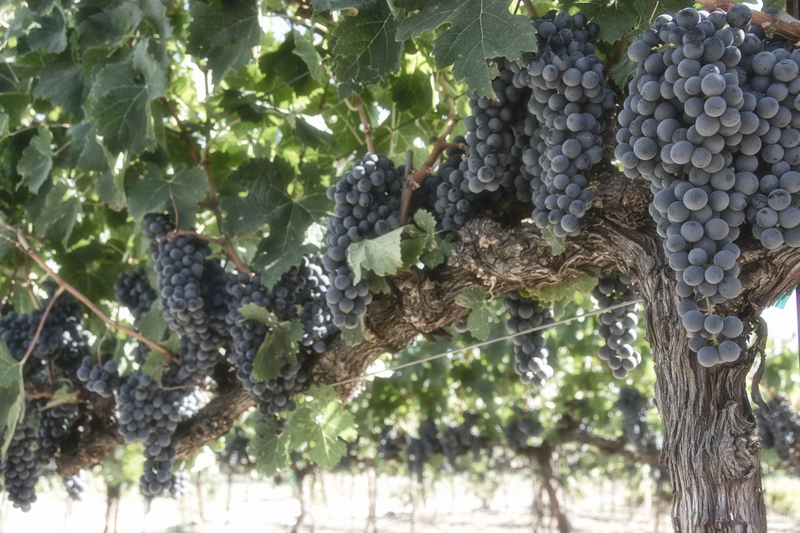 Living in the Northern California wine country means that you can’t throw a rock and not hit a vintner, or someone directly connected to the industry. They joked with each other that winemaking would make you poor. You die happy, but spend all your money in the process. That’s when the subject of the most recent lottery frenzy came up and I confessed that I’d actually fantasized about how I would spend the money. Everyone nodded. Of course, they said, we have all had those fantasies. Generally, I don’t play the lottery. I don’t go to Vegas, either. I just don’t enjoy leaving the fate of my money to a fragile marriage of chance and my own ignorance of how to play the game. Lady Luck and I have never been friendly. So, I keep my distance and let her break other hearts. I’ve heard all the discussions about having a better chance of getting hit by lightning. It could be said that you’d have a better chance of getting hit by lightning twice. I’m sure that those unfortunate folks who’ve actually been hit by lightning twice would agree that it’s pretty much an impossible statistic. But, who develops these statistics and should we believe them? So, I finally bought a ticket at the very last-minute. My car made its way to the local convenience store and ejected me into the store. It took me a while to actually buy the ticket because I had to thoroughly read the instructions, interview a few starry-eyed patrons, and used one of my “phone a friend” cards. There were several different lottery products to choose from. How did I know which one the Lady wanted me to play? Once I found the Big One, the tiny red writing on the back provided detailed, but ambiguous instructions on how to mark the form. It was all very stressful. Driving home with my shiny new ticket, the fantasies began to swirl. In my head, I envisioned myself as the winner. Pictures flashed as I imagined I’d won a jackpot of historical proportions. What would I do next? Would I scream? Cry? Hide? By the time I arrived home, I had composed a list of things I would do with the money, enjoying the impact the windfall would have on family, friends, and neighbors. The most amazing thing was that I could easily spend every single penny in a very short amount of time. Many might argue that you can dream without the ticket. But, we all agreed as we stood together revisiting our wildest fantasies that it would be like going to the front of a carnival and never crossing through the gate to ride the roller coaster. You can imagine how it feels, but it’s not like actually standing in line ripe with anticipation. Lady Luck beckons to us like a siren and delivers a fantasy in return. She enjoys that lustful look in our eyes and fans the fire with promises of fortune and fame. As we listen to her song, enticing as it may be, we should remember what happens to sailors blinded to the rocks below. They go down with their ship. So, here’s what I’d like to know: Did you go on an adventure with the Lady on your own fantasy trip? Where did she take you this time? This entry was posted in Party Talk and tagged fantasy, Lady Luck, lottery. Bookmark the permalink.